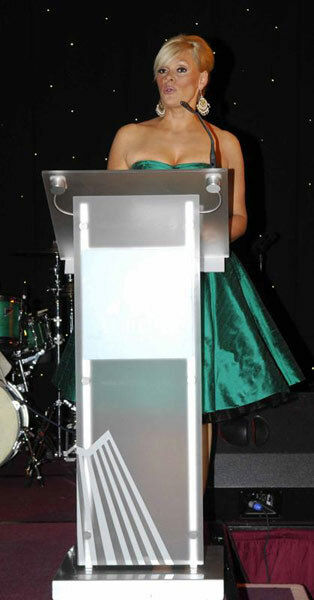 The Europa Hotel played host on Saturday March 13th 2010 to the star-studded SAM Emerald Ball. The event raised a truly staggering £86,000 which will be used to fund research projects which aim to find an effective treatment for Congenital Muscular Dystrophy (CMD). 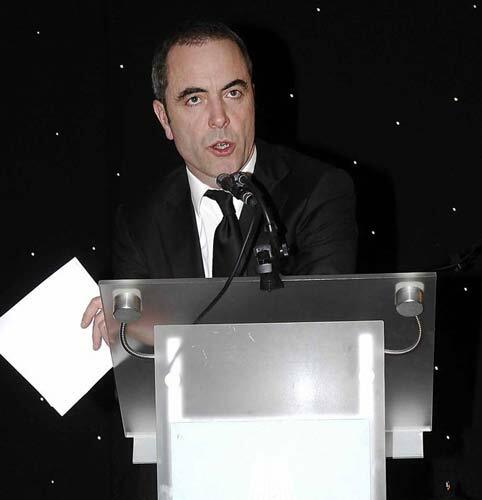 Northern Ireland's celebrities and glitterati turned out in force to join the event's hosts - actor James Nesbitt and local media personality Emma-Louise Johnston - for an evening of top-notch entertainment. 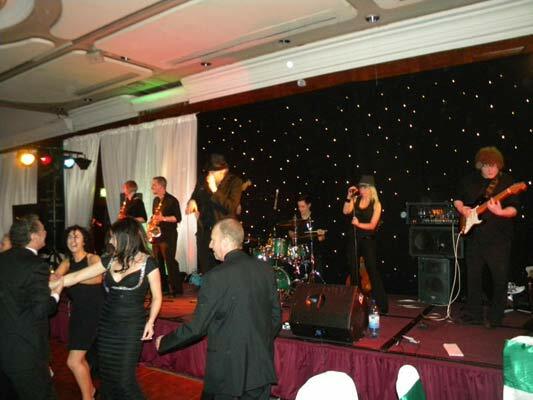 Following a red carpet arrival and champagne reception guests were treated to entertainment by Matt McGinn, followed by upbeat Irish dancing with a modern twist from Celtic Storm. Guests then enjoyed a splendid five course banquet, after which singer Oonagh Derby took to the stage, followed by local comedian Tim McGarry, who had the room literally roaring with laughter. Jimmy and Emma-Louise then let the evening take a serious turn as they discussed the work of the charity, passionately describing the personal journey of the McCausland family and the hope that the work of the SAM charity is providing to families affected by CMD. "I have never seen anything like this charity - what they have achieved in such a short time is spectacular..." commented host, Jimmy Nesbitt. As the charity auction got into full swing the strength of local support for SAM became apparent. A spectacular array of items were on offer, including an original oil by celebrated local artist Terry Bradley, Rory McIlroy's golf bag and clubs which he used as an amateur, a training session for 8 children with the Ulster Rugby Team, top local chef Michael Deane preparing a gourmet meal in the lucky winner's home, VIP packages from Down Royal, Victoria Square, Belfast Giants, Drumbo Park and Rally School Ireland and a stunning piece from local photographer Glenn Waddell to name but a few of the outstanding auction lots. Auctioneer for the evening was Raymond Hill of Carryduff Auctions, who not only delivered his role with professionalism and passion, but also with humour, ensuring that the auction became part of the evening's entertainment. 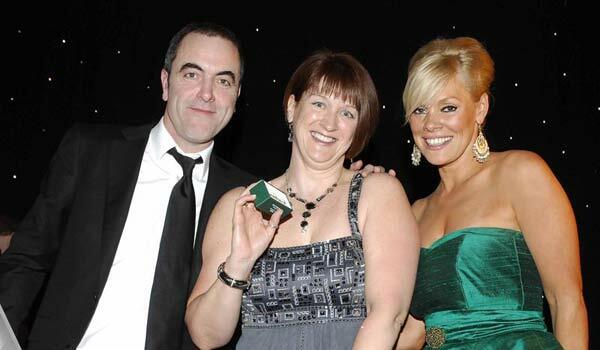 The excitement in the room was palpable as Emma-Louise revealed the stunning diamond and emerald earrings which had been specially designed in celebration of the Emerald ball by Fred J Malcolm jewellers. Every female guest (and a few males!) was invited to select a beautifully wrapped box inside which one lucky winner found a message asking her to come on stage to receive her gift. Malcolm's generosity did not end there, however, as every lady who attended the event was given a beautiful set of emerald swarovski crystal silver set earrings as a keep-sake. 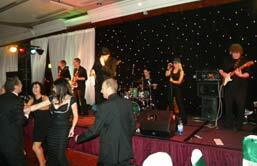 Guests at the Emerald Ball then danced the night away with the amazing 'Big Kahuna' Band. The staggering sum raised at Saturday night's event will go towards research projects to help bring an effective treatment for the disease one step closer. Sam's mum, Tracy McCausland added: "The work we are doing in raising money to fund research through the SAM charity gives me hope. I dream that Sam and all the other children who suffer from CMD will have a real chance of having a brighter future than the one currently predicted for them." 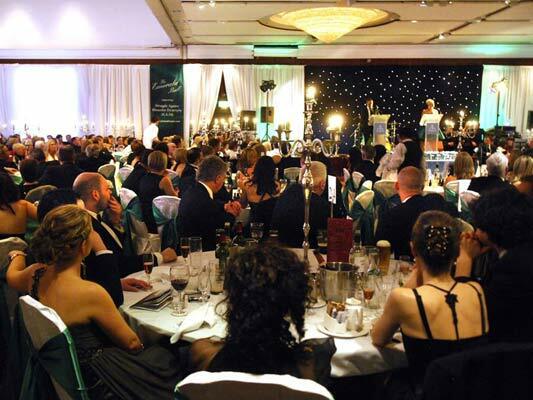 All of us hope that the money raised at the Emerald Ball will help fund the research which will make that dream come true.